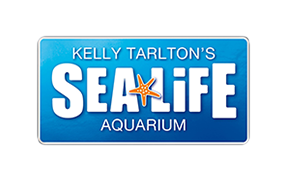 Generally, a 2 for 1 voucher or discount coupon can only by used of individual standard admission into SEA LIFE Kelly Tarlton's and therefore cannot be used for our experiences such as Shark Cage or Penguin Passport unless your voucher specifically states it is for this experience. 2 for 1 vouchers can only be redeemed on the door when purchasing a full priced adult ticket. Please ensure that you check the terms and conditions on your voucher before visiting.